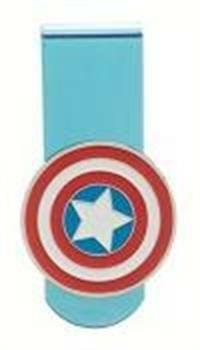 Official Marvel Captain America money clip. Protect your cash with this light weight magnetic money clip featuring Captain America's Shield symbol. Size: 2.5" W x 1" H.